Amber Holcomb talks about American Idol and explains how she believes winning the show is both "an advantage and a disadvantage" and her desire that the show do a "second chance" season for former contestants. American Idol has crowned yet another male singer its winner. 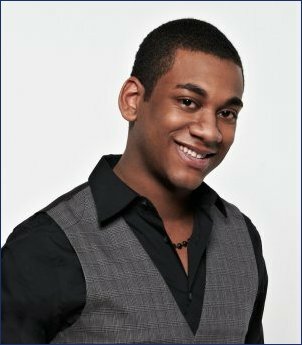 Joshua Ledet just missed out on making it to American Idol's eleventh-season finale when he was eliminated during last night's broadcast, but he's apparently not broken up about it. American Idol eliminated Joshua Ledet and determined its Final 2 eleventh-season finalists during Thursday night's live results show broadcast on Fox. American Idol cut Hollie Cavanagh and determined its Final 3 eleventh-season finalists during Thursday night's live results show broadcast on Fox.